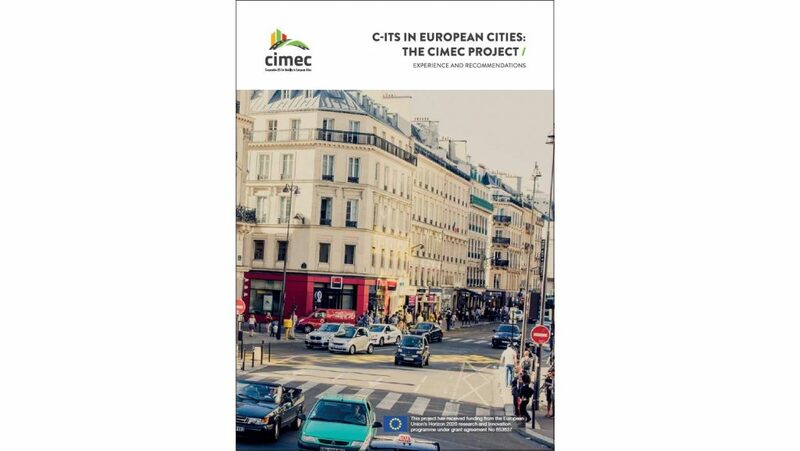 CIMEC has published a booklet providing a round up of the main project findings on the subject of C-ITS deployment in cities. The publication provides an introduction to the subject from the perspective of a local road authority and offers an overview on how the city C-ITS market is expected to evolve in the future. It is intended to provide a vision that European cities can collectively recognise and that other stakeholders, public and private, can benefit from in their political or commercial planning. A German and Spanish version will be available by Summer 2017.